The Mercedes-AMG G 63. Wherever it shows its face, it is met with nothing but awe. Its passion, perfection and power make every journey feel like a victory. It’s nothing but the descriptive text accompanying a truly impressive video of the monstrous SUV bearing the three-pointed star logo together with the AMG lettering. It’s a brute that eats mud and rocks for breakfast. It’s an almighty luxurious transporter that combines the brand’s exclusivity with the exquisite reputation and the capability of a genuine off-roader. 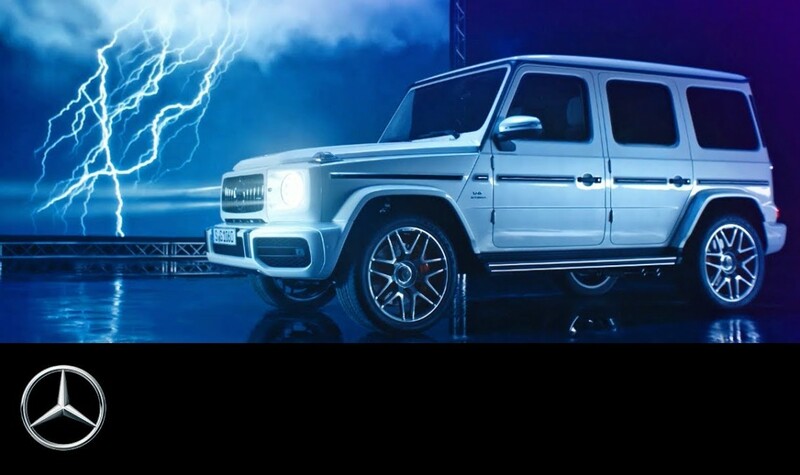 Beyond all the attributes, the Mercedes-AMG G 63 boasts 585 horsepower and 850 Nm of torque, developed by its 4.0-liter V8 biturbo engine, with rear-biased all-wheel drive and three differential locks. The 9-speed automatic transmission and the 22-inch wheels make it the capable vehicle that it is. The AMG SUV runs from a standstill to 100 km/h in 4.5 seconds and hits a top speed of 220 km/h, 240 km/h when fitted with the AMG Driver’s package.